Andy graduated from the University of South Dakota in 2000 with a Masters of Science in Physical Therapy, and became one of South Dakota’s first Geriatric Certified Specialist in 2006. He is originally from Watertown and joined the Jenkins Therapy Dept. in 2002. 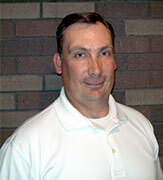 Andy has experience with in-patient rehab, and additional training in aquatic therapy and wound care. He is a member of the American Physical Therapy Association and the South Dakota Physical Therapy Association. Andy is also a Credentialed Clinical Instructor and is active in student training. Susie graduated from Lake Area Technical Institute in Watertown with her associates degree in Physical Therapist Assisting in 1997. 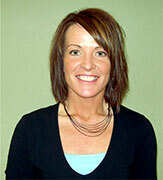 She has been an active staff Therapist and member of the Jenkins Rehab Team since graduation. A past member of the APTA, Susie has received specialized training in Pilates, Balance, Urinary Incontinence, and Pelvic Floor Dysfunctions. 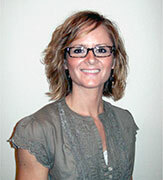 She is a credentialed Clinical Instructor involved in the supervision of Therapy Students. Layle graduated from Lake Area Technical Institute with an Associates of Applied Science degree in the Physical Therapist Assistant Program in 2000. She is a long time resident of Watertown and has been employed at Jenkins for over a decade. Layle joined the Rehab Team in 2001 as a skilled Physical Therapist Assistant and a Team Leader for the Restorative Nursing Program. She is a past member of the APTA with specialized training in Pilates, Balance, Urinary Incontinence, and Pelvic Floor Dysfunctions. Layle is also a student mentor through the LATI Physical Therapist Assistant program. Our dedicated Physical Therapy staff provides skilled, quality care in a relaxed and inviting therapy gym. Jenkins has a full-time staff including a certified geriatric specialist, and two exceptional physical therapy assistants with 20 years of experience. These professionals provide a flexible schedule for our patients while maintaining a high level of care.